Geelong is a port city located on Corio Bay and the Barwon River, in the state of Victoria, Australia. 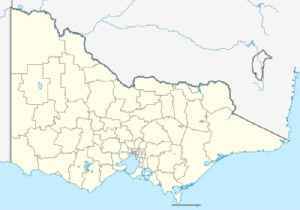 Geelong is 75 kilometres (47 mi) south-west of the state capital, Melbourne. It is the second largest Victorian city, with an estimated urban population of 192,393 as of June 2016.